On 15-16 November it was KIC’s turn to host a face to face project partner meeting, so it was in Malta where the consortium got together to present and discuss the state of the art of the work plan and make decisions on the way forward. This was an inspiringly productive 2 days. The impressive combination of project managerial, pedagogical and technological experience and expertise around the table was evident and this contributed greatly to the swiftness we could progress with the agenda. Officially the meeting ended at lunch time on Friday, but those of us who didn’t have flights to catch until Saturday were so excited about the next agreed practical steps, our dedication and enthusiasm drove us back to work and we made further advancement on some of the EduHack outputs. The online course was under internal testing for a few weeks before our meeting: first by the core partnership, followed by a group of colleagues who knew nothing about EduHack before. Their experience was overwhelmingly positive, and that was a pleasant reassurance of the value of our work so far. We will be publicly launching the EduHack course early next year. The English content is technically ready, although we agreed to do some fine-tuning in response to the constructive feedback we received during the internal testing phase. Our Italian and Spanish speaking colleagues have translated the content and are now in the process of uploading the new pages to the EduHack web site. We’re also working hard to establish an online knowledge sharing platform where our learners can share their “homeworks”, thoughts and questions with us, their peers and the wider EduHack community. 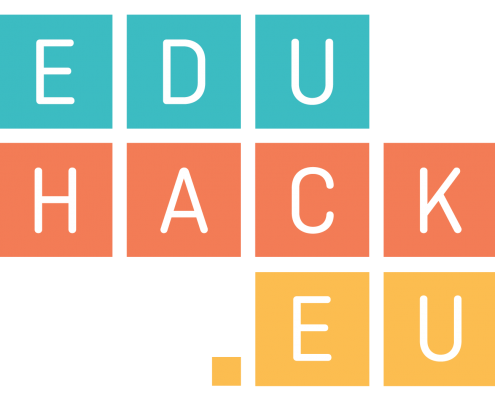 Our first EduHackathon, that will be held next May in Spain, is also in preparation. If you are working in education, interested at its digital angles and would like to learn more about incorporating ICT into your practices, you speak Spanish and enjoy interactive learning in face to face settings, you must attend this intensive hands-on event. Get in touch with us if you would like to receive more information. At last, but not least, we also made progress with crystallising the idea of how we would like to recruit, serve and engage our EduHack Network partners, and you’ll see the corresponding new pages on the web site before the holidays. EduHack joins the European Distance Learning Week (EDLW) The EduHack course: day 1!